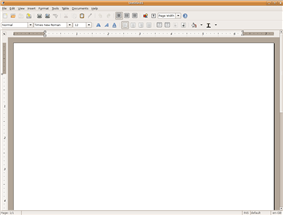 AbiWord () is a free and open source software word processor written in C++. Since version 3 it is based on GTK+ 3. 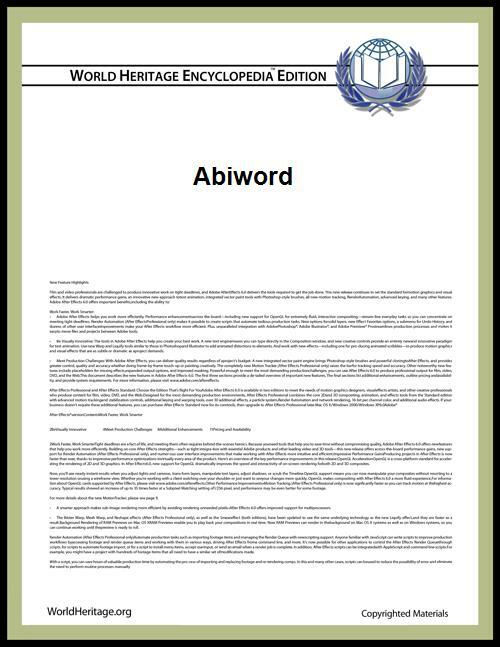 The name "AbiWord" is derived from the root of the Spanish word "abierto", meaning "open". Abiword was originally started by SourceGear Corporation as the first part of a proposed AbiSuite but was adopted by open source developers after SourceGear changed its business focus and ceased development. It now runs on Linux, Microsoft Windows, ReactOS, Solaris, AmigaOS 4.0 (through its Cygnix X11 engine), MeeGo (on the Nokia N9 smartphone), QNX and other operating systems. The Mac OS X port has remained on version 2.4 since 2005, although the current version does run non-natively on Mac OS X through XQuartz. ^ Project Mascot Abi the Ant. Page explains Abi is pronounced just like "Abby"